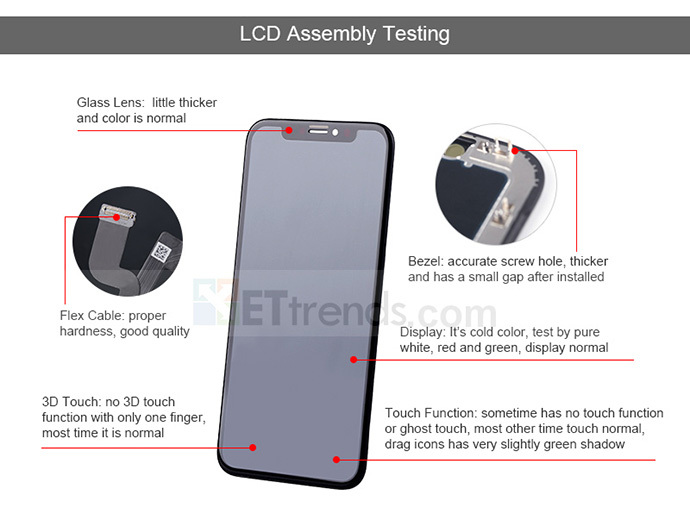 between the new TFT LCD iPhone X screen and original one. 1. The color of aftermarket screen is inclined to cold color. 2. After installed, aftermarket screen is thicker than original one. 3. The price of aftermarket screen is $139, while original is $338.10. on aftermarket trend, mine more information and share to you timely.